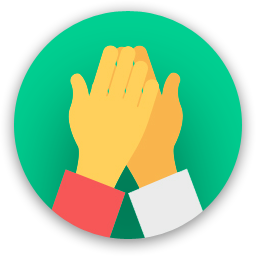 A community for people that prefer to work together than to work alone. We are about creating a better place to work and as a result, a better way to work. Our vision is a community of entrepreneurs, freelancers and digital nomads that share a large office to network, learn and share while being in an amazing mountain resort. - It is one of the prime ski resorts in Eastern Europe, but also an amazing place in the summer. Make sure to download our 'Guide to Bansko' from our website and ask many questions in our Facebook group to make the most out of your stay. Are you a member of Coworking Bansko? "These guys know how to build a coworking space and build a community!" I've been in coworking spaces around the world and traveled with nomads all around the world and can tell you the gang in Bansko have really created something special. Not only is the town amazing, but the coworking is state of the art and they have community events almost daily. I am really enjoying my time here and for sure will be back. The title says it all. I think one should be able to not have a discussion about normal issues without insulting someone. The owner of this company seems to see this different, so it's quite obvious that he has a weak character and I wouldn't support such people. Hi Gustavo, what happenend? Are you sure that you were at our coworking space? Couldn't find you in our members/trial database and no one here remembers you or any incident with you. "Great space for getting work done while still having access to a community and sponsored events, making it easy to meet others." "Great space with an extraordinary community close to untouched nature at the Pirin National Park. Must visit for a work/nature retreat." At Coworking Bansko you can get the best of both worlds, beautiful, untouched nature at the UNESCO protected Pirin national park and a good place to work with a good connection. Bansko is a nice little town with great infrastructure and easy to find cheap apartments. Besides the great location and proximity to nature, the best thing about Coworking Bansko is it's community. Met lots of likeminded people, made friends, hired people from the community for my business. The space itself is also nice, with proper office chairs, solid table and in the new space a standing desk. There are three locations and is convenient to access from anywhere around town. There is lots of activities to connect with other members, such as game night, video night and also work related skill share sessions etc. 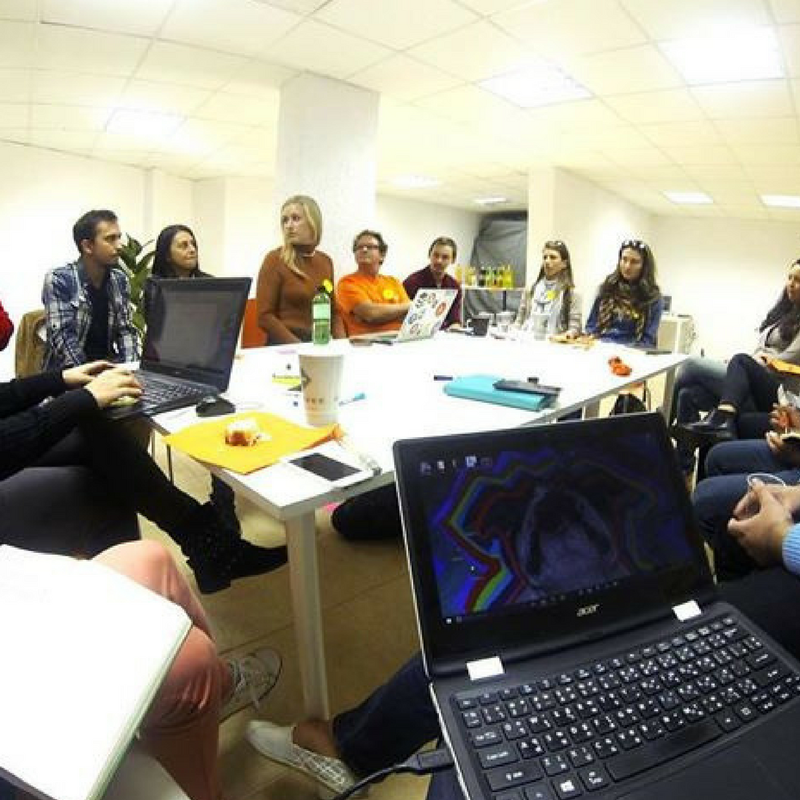 Coworking Bansko organizes good events and conferences regularly. If something grabs your attention, don't hesitate and visit! You won't regret it. "Are you tried of the beach, come to the bansko-mountains :-) "
The co-working Bansko Team have created a very welcoming, creative and cool place to get some work done! The co-working space is equipped with everything you might need for working or hosting an event! Besides working space you will have access to a Skype room, a session room, Internet, standing desk and much more. If you need a place to stay the team will help out with apartments or guest-house recommendations. But this place is far more than a working space it is a great community social space which gives you a family feeling when you are on the road. There are a lot of social activities offered in the evenings - which you may attend if you (or Mathias:) feel like it - that will give you an opportunity to experience great community feeling. Activities you may join are for example: Movie- Game- Speakers- Hot Spring- Night, Skiing Trips and more The prices in Bansko in general are good value! The atmosphere in the CoWorking space is amazing very motivating and welcoming, mostly digital nomads from all around the world work here. The hosting team is great, Mathias is a character but he will pressure you into success!!! That is a bonus I would recommend 100%, I have been there two times already and I am already planning my return. 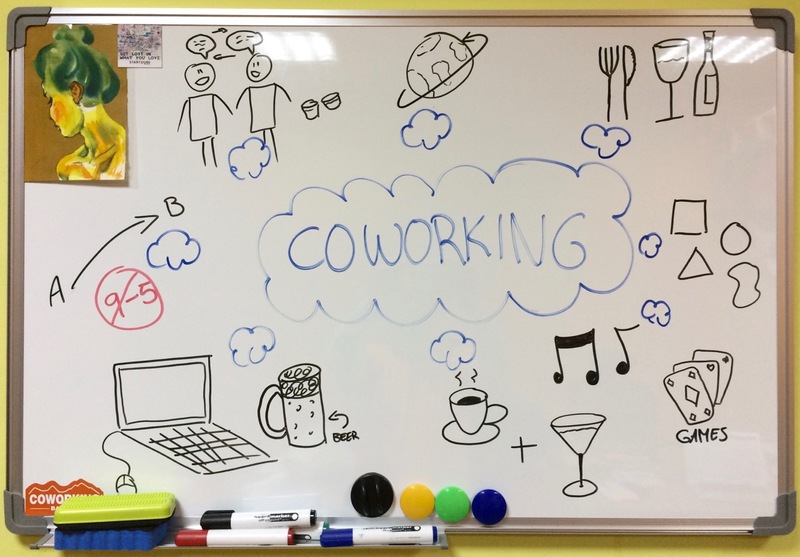 "Amazing community, great place to work and socialize :)"
This was my first coworking experience, and even though I have high expectations based on reviews, Bansko coworking managed to surprise me and exceeded my expectations! They opened up second location near gondola which is super convenient in the winter season when you spend a lot of time on the slopes and want to get to workspace quickly. And there is social and quiet spaces downtown, so each day you can choose what suits you the best. Each space has great wifi, coffee/tea and really comfy chairs. The community is very welcoming, neverending events will not let you be bored, you meet so many great people there! Coworking Bansko makes you feel right at home from your first day there. 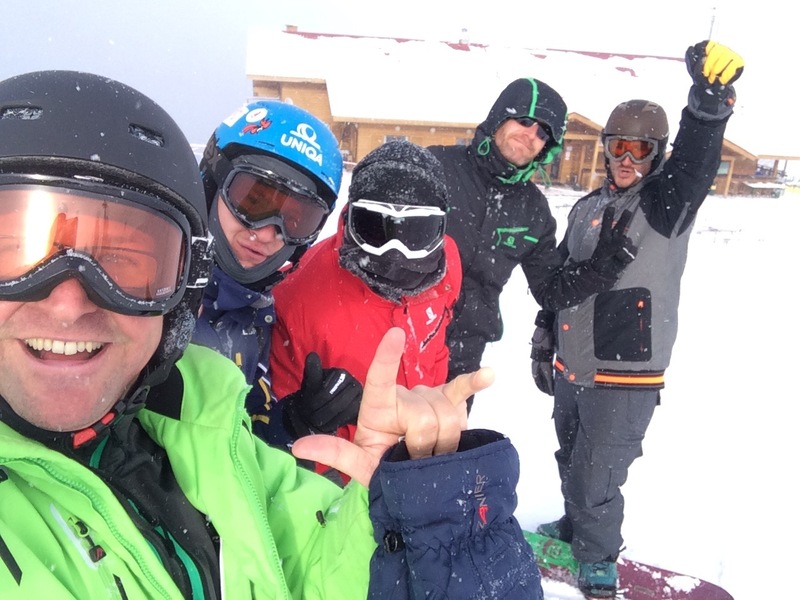 "Fantastic Community & Great way to make Bansko worth everything that it has to offer!" The networking & social options that come from the coworking community are a huge plus and really help make Bansko feel like the home that it should be to many more people. There are a few different areas to work from, within different section of the coworking space, rather than one large section. The leadership crew is very friendly and attentive to creating events in order for people to have something to do while spending their time here in Bansko. Friendly environment and would absolutely recommend! Will be returning in some of the coming seasons to enjoy my time in Bankso. "The place that ticks all the boxes for me ✅"
Last year I was looking for an affordable home base close to Germany - but discovered so much more than that with lovely Bansko. Not only does Coworking Bansko provide a super awesome and welcoming community and a productive work environment on comfy chairs. The mountains, hot springs and other sights in the proximity really make this remote mountain village a great and exciting place to be all year round. Combine this with affordable rents, real estate prices, low cost of living and cheap 2-4h flights to almost everywhere in europe and you'll get the (luckily still slightly unpolished) gem that Bansko is. Mission homebase achieved! "Best Co-working environment we have found!" 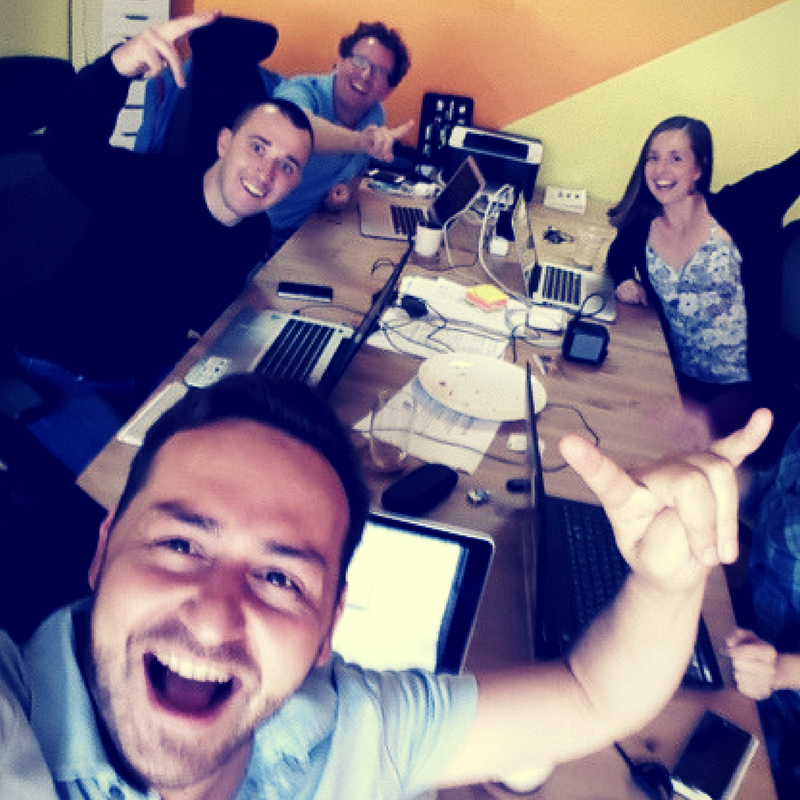 "The Coworking Bansko team are so welcoming! 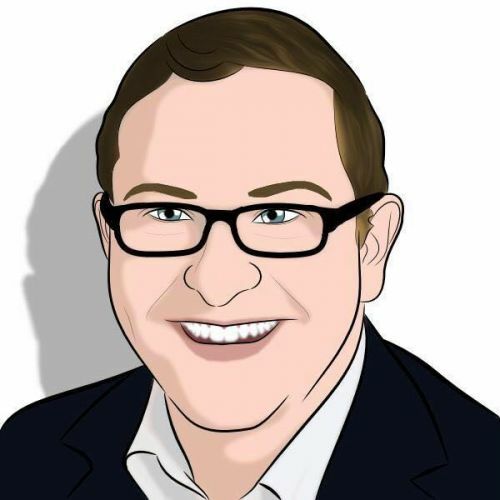 I feel much more like part of a cohesive community than with other coworking places." I'm loving spending the snow season here in Bulgaria - not only is Coworking Bansko doing a phenomenal job keeping me in coffee and wifi, but they're cultivating a persistent community the likes of which I've not seen before. Kudos for pursuing the vision! The workspace is well furnished, clean and cozy. The wifi is backed by fiber optics, so it's more consistent than cable, DSL or wireless backhaul, which is a necessity - especially if like me you need the ability to remote into multiple systems simultaneously. They've opened up a space near the gondola to comfortably handle the winter season! 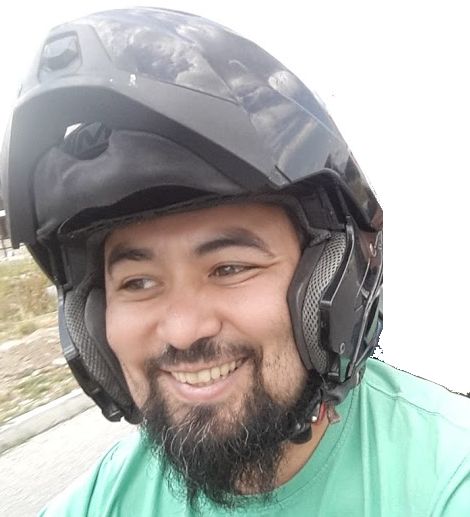 "When the reputation is high and your first experience confirms it "
Since I've been into the digital nomads / location independent communities, I've heard a lot of great things and stories about Coworking Bansko. The moment finally came to experience it by myself. Here is the story of my one month long stay. First, the "Easy Landing Package" is a great and really easy solution for a first stay in Bansko. Everything was really easy from the booking procedure until my arrival and installation either at the coworking and the guesthouse (mine was just at a 2 minutes walk, and even closer to the fruit and vegetables market). Then, the coworking spaces are really welcoming and comfortable. One is the "social space" where you will meet people either during your work and for many activities like workshops, shared dinners, movie nights, games nights, etc. Almost next door in the same street is the "quiet space" where you can work without being disturbed by any conversation. These 2 spaces are in the pretty nice and pleasant old town. A third space was about top open after my stay, in the upper town, ideally located especially for ski and work. Most of all, the community is really awesome, big and growing. People are not only open to share knowledge, experience and fun activities together, many are really into collaboration too. "Sharing is caring" makes sense. And it's significant to know that Coworking Bansko will soon turn into a cooperative, being managed with the same values and spirit than the ones that liven the community of coworkers up. Oh and last thing... as I've heard it happens to many coworkers going there for first time, not only I will come again soon, but I will stay much longer and I'll probably settle a base here. I've seen a lot of coworking spaces in the last 12 months. For someone who works in foreign places, the right environment is important. These coworking spaces have been in London (UK), Dahab (Egypt), Bangkok (Thailand), Chiang Mai (Thailand), Phnom Penh (Cambodia). (I will only mention the places where I like to remember the coworking spaces ;) ) I don't know if this makes me a specialist in coworking space evaluation, but I do know that I can only be productive in the right environment. There are several things that make the environment productive for me: cool community, interesting surroundings, fast internet, good office chairs, rooms for Skype conferences, attention to detail, great onboarding,... 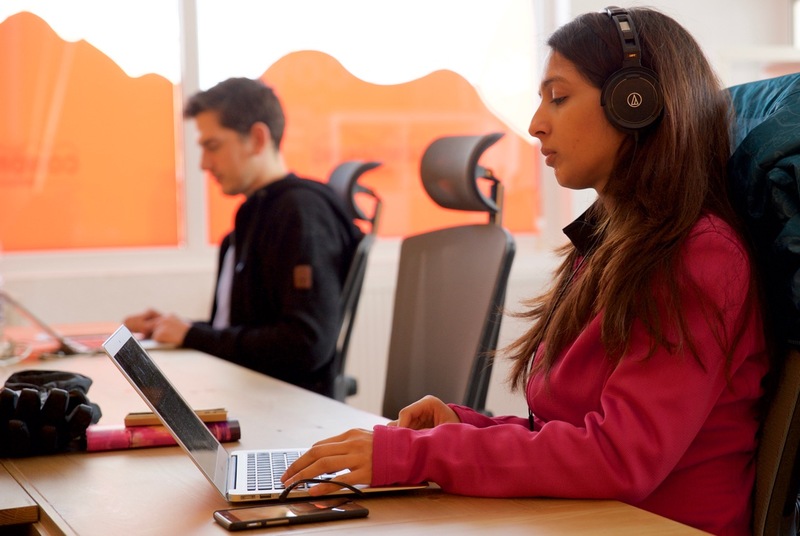 Most coworking spaces pay attention to one or more of these points. Actually nobody puts value on all of them. And now I'm on my way back from a coworking space that is attentive to EVERYTHING. What Uwe and Matthias have built up with the Coworking Bansko - Base for Digital Nomads in Bulgaria is just great. They have created a place where I can work productively. There's a cool community , there's great office equipment with real office chairs :). There's really fast internet, Skype rooms and everything else you need to work. "A glorious space with the best of everything"
This is my first experience in a coworking space and I did not know what to expect from it. First thing I really liked was the space itself because It has different areas depending of your needs and what you want to do. I spend most of my time in the social area and the event space, but if you are looking for being more productive and focused you will find a quiet space in the annex building. The wifi works really well, you have very comfy chairs and tables where you can plug all your devices, cofffee and tea, etcetera. I also love the location, right in the center of the old town and away from the more touristy and noisey area of the Gondola. But the best part is the community based in here. I would like to higlight the variety of its members' background. I have met bloggers, ESL Teachers, software developers, designers, artists and a long etcetera of creative types always willing to share and help you with your projects. 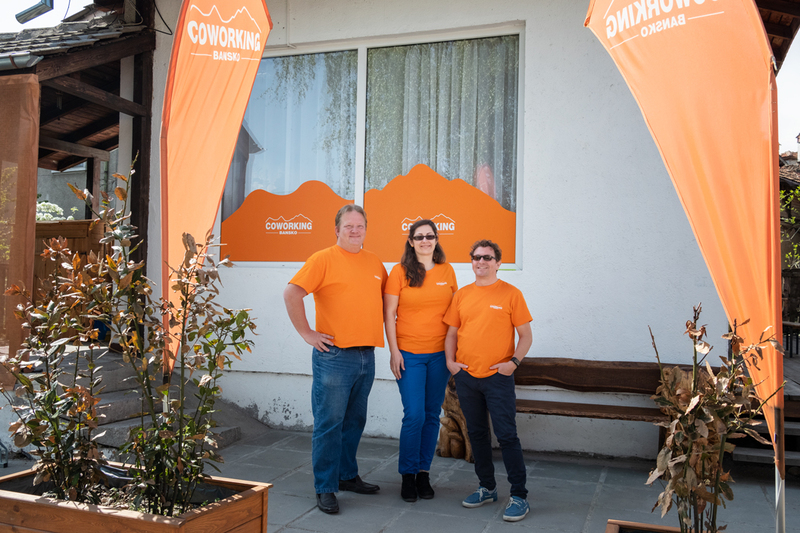 The founders of Coworking Bansko, Uwe and Matthias, have created a wonderful event calendar and almost everyday there is something to do: movie night, barbeques, visits to the hotsprings, conferences and board game nights, among others. It is almost impossible to get bored in here. Being social and productive it is a dream the community in Coworking Bansko is achieving on daily basis. "Great place to work and have fun :)"
"Still the best community we've found"
My wife and I were only in Bansko for a short amount of time but we were blown away by how large and active the community surrounding Coworking Bansko is. After a few months mostly traveling around just the two of us, it was very refreshing to go to a space and have welcoming people to chat with, have lunch with, meditate with, and have a beer with. We were in town during offseason for the rest of the town, but for for the coworking space there were still many events going on, including member talks, a pub night, and a group trip to the local hot springs. Overall, an awesome place to meet people and feel settled. "A Fab Community in the Beautiful Pirin Mountains! " 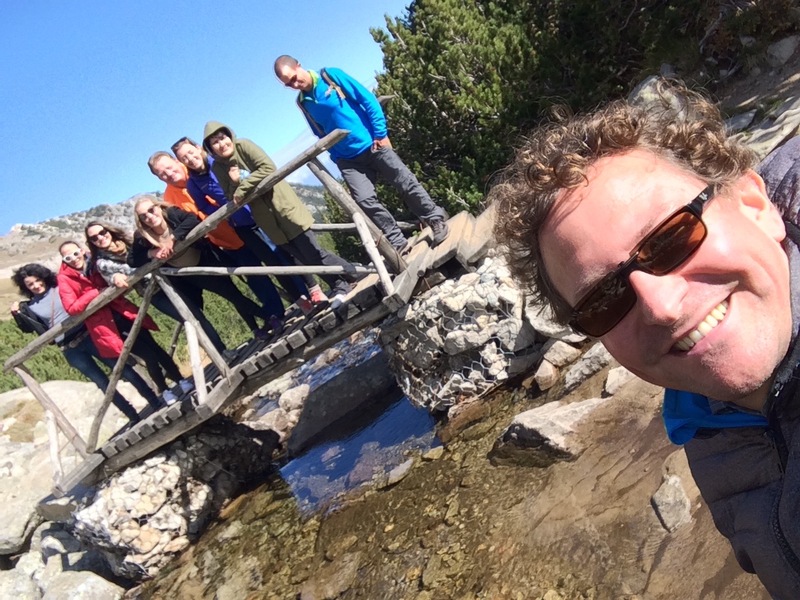 I spent a month at coworking Bansko and loved it! The space is amazing, and has everything you could want, from fresh coffee and tea to comfortable chairs, and even hammocks for your break time. The community was the best thing, though. There is always something to do, no matter your interests, and it’s all community driven depending on the people there at the time. Bansko is a beautiful little city with plenty to offer, too. I loved going on hikes and trips to the nearby hot springs. I recommend getting a membership and finding your own accommodation. It’s very easy and cheap to do once you’re on the ground. Iloved my time with the Coworking community in Bansko! I’ll definitely be back in the near future! Two spaces to choose from - Quiet and Social. Both are well-equipped to get it done. A meeting room and a skype room round out the space. Nice calendar of social activities and a bbq deck. 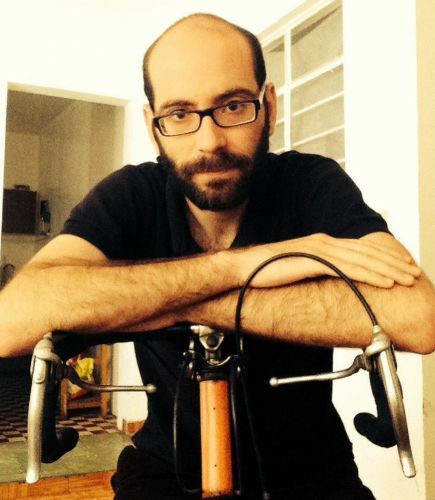 You can rent a bike too. Bansko is a nice, laid-back town with cool locals. My only wish is that they had private spaces that could be reserved to teach languages online from. Members are always headed for hikes or to the local hot springs. Although not large by European or North American standards, the ski hill looks nice and we hope to return in winter to check it out. "Great Connections & Rural Adventures"
Love this place! Amazing amenities and a very supportive environment for collaboration and social actitives! Coworking Layout & Amenities: Great wifi, out of the city location, highly productive environment (quiet area, social-chatty area, skype rooms, conference rooms and event space (much larger and well thought out than I had imagined). All the seats are ergonomically designed and there's also 2 standup working areas spots, plus an outdoor patio for fresh air during summer. Socializing & Connections: Bansko Coworking is not for everyone but if you value personal connection with people, and you are open to the idea of being a rural town where there isn't a dozen things happening every night then chances are you'll really this place :) I found it to be great place to be productive, get into nature (alpine hikes, bike rides, slacklining and hot springs) in the summer. The coworking values a strong community which makes it a great launchpad for social actives and personal connection. Thought for Improvement: Would love to see more circulation and dehydration in the downstairs event space, a lot of trapped humidity here with a mildew smell, especially after it's been cleaned (mopped). "Great community, working environment, social life & nature"
I've just began my second membership with Coworking Bansko. I had initally planned to come for one month in January of this year, but ended up extending until the end of April! The co-working community here is growing all of the time - with a regular influx of new members and a growing cohort of long term members. An active social life is built into the experience here, and you're never stuck for something to do. Whether it's eating out at one of the excellent (and generously priced) local restaurants, hiking in the summer, or skiing in the winter, you'll definitely find something to fit your tastes in Bansko. 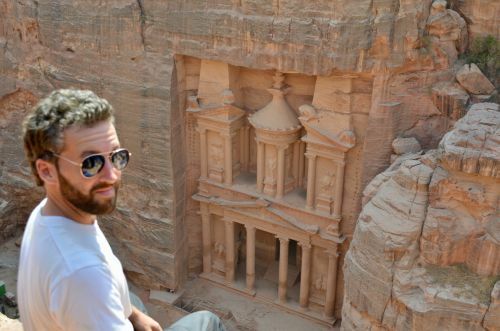 Highly recommend for both short term and long term nomads. I came to Bansko to one of the coworking events last year and fell in love with the town. I came back to spend little more than a month and the main reason is the coworking. Bansko is nice but I would probably not spend more than 3 days here if it wasn't for the amazing vibe the coworking has. I've worked in many different coworkings around the world but this is the first time I pay for a monthly membership and I'm very surprised by how active and social the community is. You'll never be alone if you don't want to. There's something going on everyday. There's also different types of spaces (quiet, social, meeting rooms, etc). The onboarding is very complete and they give you all the information you'll need for a great Bansko experience. It's an amazing place for focusing on work and don't spend much but still be in Europe! "So good, I'm going back for more!" Coworking Bansko was my first time being based in a coworking space for more than a couple of days, as I transition into remote working and I could not have asked for a better experience. They have created an amazing community into which I felt immediately embraced. The focus on support, collaboration and a very healthy work/life balance was invigorating and inspiring in many ways. Through the mastermind sessions and other events put together by both Coworking Bansko and individual members proved invaluable even in the short time I was there (2 weeks). So, for all these reasons, I decided to make Bansko my first long term base when I move to full time remote working later this year. "One of the best communities I've found"
Coworking Bansko has one of the best communities I've found. After traveling and working in Bali, Thailand, Vietnam, Medellin, Budapest, London, and the United States, I can truly say Coworking Bansko is unique. They have two different work spaces, one for social and one for quiet space. There's an event happening almost every day. Basically, if you want to cowork with people and actually feel like you have a home base, this is the place. The founders are active members of the community, and it doesn't feel like "a business" - instead, it feels like a community. The area is really cool too. Cheap food, friendly people, a old scottish type architecture. A+. I spent about a month and a half in Bansko during a cool and rainy summer and I wish I could have doubled it. The community is just great--there are more events than any one person can participate in, so you're free to pick and choose the ones that suit you. The vibe was incredibly friendly. The workspace is open 24/7 and the cost of living is very low, which means everyone feels a little freer to splash out and have fun... I'm a vegetarian and I expected to have trouble in Eastern Europe, but every restaurant in town has veggie options and a lot of them are delicious. Definitely give Coworking Bansko a try if you're on the right side of the pond. "Incredibly Well Run From Start to Finish"
Honestly can't say enough good things about well run Coworking Bansko is. We did the landing package and everything ran as smoothly as possible. The Coworking Space is easily the best I've worked in and the communication with the team is fantastic. The space is kept well organized and clean, even though there isn't really coliving here, the community is very strong with more activities/events scheduled than it is actually possible to keep up with. And Bansko itself is simply a fantastic location. It's beautiful and charming with tons of great restaurant options -- even in the summer season when a great deal is closed. Check out Coworking Bansko. You won't be sorry! "The King of Co-Working Community Life "
This was my first experience spending significant time at one co-working space, but I don’t really think you could get any better than Coworking Bansko in terms of great WiFi, comfortable chairs, range of activities to do in the area all surrounded by gorgeous mountain scenery, but most of all the incredible community of co-workers that co-founders Uwe and Matthias have worked hard to build in the ski resort village of Bansko, Bulgaria. I felt incredibly supported and included in any and all events from Day 1 for my entire two weeks that I spent in this gorgeous mountain town. I truly feel that I’ve made new long-term friends and also got to try many new things while being very productive. The cheap cost of living only makes it all the better! Thank you, Co-Working Bansko. I’ll definitely be back! "Perfect place to get work done and have fun with fellow coworkers!" "Coworking Bansko is my home"
Coworking Bansko is the only coworking space I can't wait to come back to. Great community, lots of friends, comfortable bright space, awesome chairs and tables, fast internet, great location... heck... it's better than home I suppose... I love the people that Coworking Bansko attracts, they are interesting, smart people, entrepreneurs, digital nomads, people that are having the same interests but are also not afraid of change. I have met one of my best friends here and I can honestly say that Coworking Bansko literally changed my life, by ntroducing me to new opportunities and new mindset. Thank you guys, you rock! "Instant community, great work/life balance"
I've been lucky enough to have worked in at least a dozen different coworking places all over the world, and this one is one of the best. The people are so welcoming, the work space is great for whatever you need (quite or ambient noise), tonnes of social stuff happening all the time and you will never be short of company if you want to get out of the extremely comfortable office. Free (great) coffee (absolutely essential for me), really fast wifi, and proper chairs that will support your back so you can pour hours into your online venture. I came to Bansko because I needed a quiet productive space to really smash out a lot of client work and progress my main side project. I did not expect to meet so many awesome, interesting characters or have so many options of things to do. There is a huge culture here of knowledge sharing and collaboration and the private FB group for members who are here is probably the most active one I've ever experienced. Major props to Matthias, Uwe and Elena for creating this place. I'll definitely be back, and maybe next time in the Winter to get some boarding in. "Easy going! No stress, no requirements, no expectations, just come, take your time, enjoy, have fun, do your job and if you like you can join us in our activities. Very pleasant attitude!" Unconference, as somebody who joined or did many conferences, un or in conference was great, new expirience and great fun. With Mathias and Uwe you have two well informed guys who are fun but also knowledge. And knowledge is priceless. Surely the place is highly recommendable if you visit Bansko. Take your time, enjoy the mountaines, the free time, the community, your work, some easy going lunch, some mineral water, mounteen biking and then interesting talk with Mathias or Uwe or some other community people. The goal is the way not the end point and Mathias and Uwe offers you on this way a very pleasant, easy going and valuable time. 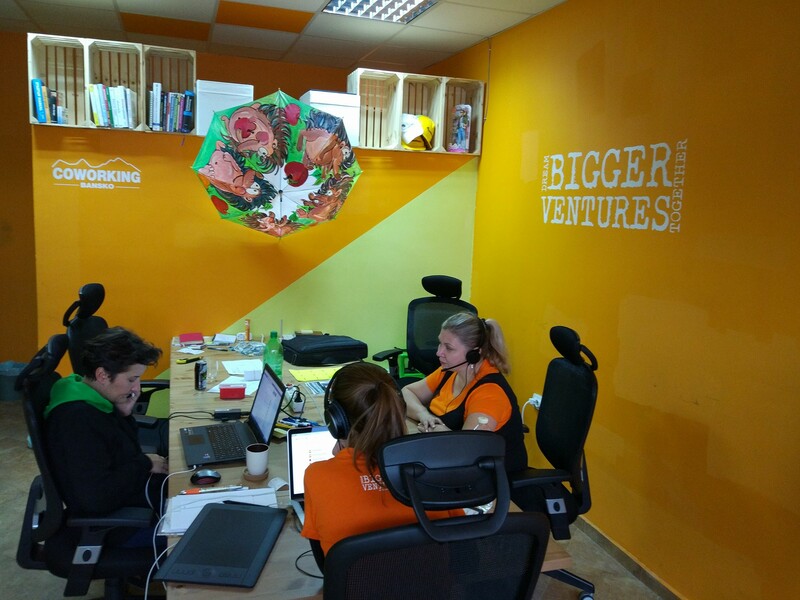 "Interesting warm orange welcoming to a great community"
Co-working Bansko is just a great co-working space in the middle of Mountains! Calm town in Bulgaria with not so much distraction. Good to focus/work and socialise . The community is great and plans a lot of events every week. Workshops, board games (with a great collection downstairs the social space), barbecue (in summer) hiking or other nature trips. The Wifi ist great and they have 2 different spaces. One quiet space for working focused and productive and a social space + projector for presentations or movie night. Good Coffee and water flatrate inklusive. Great desks and chairs (better than every co-working space I experienced before). Absolute recommendation and must check-out ! "Coworking Oasis in an Otherwise Secluded Place"
Coworking Bansko makes the small mountain town of Bansko, Bulgaria a very livable and pleasant destination for digital nomads, without which, Bansko would just be a nice place for a short holiday. Coworking Bansko provides everything you'd want and expect in a coworking space: *Fast Internet *Comfortable chairs *Coffee & tea *Multiple workspaces *Meeting room *Technology for presentations *Quiet and collaborative spaces *24/7 access for members *Almost most importantly - a guiding mission, engaged community, activities and sense of togetherness A crowded, NYC-style WeWork it is not, but if you come to Coworking Bansko to work in a friendly low-key environment, meet other like-minded people, plug into an existing community and enjoy life, I'm sure you won't be disappointed. 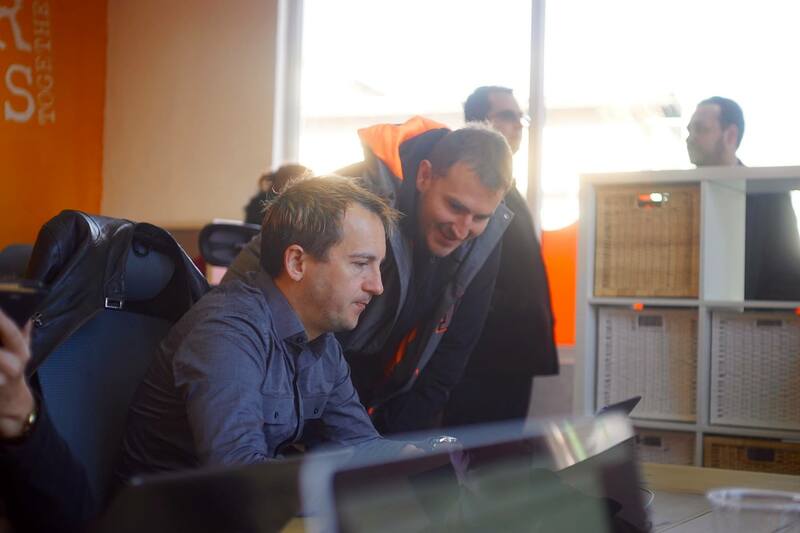 "Bansko Lives Up to the Hype - It's the Perfect Coworking Space." The town itself might not be for everyone as it's cold in the winter and more of a small resort village than a city. But if you're into skiing or snowboarding and low costs to living, you might think it's paradise. I'm here during the summer and it seems like a perfect quiet place to get work done with ultra low costs of living and great food. Plus for Americans it's great that it's not in the Schengen zone for visa reasons. I'll write a full review of Bansko itself on my blog at johnnyfd.com but for now the actual space: Coworking Bansko is the perfect coworking space. I've been to over a hundred all across the world and have written the article "Designing the perfect Coworking Space" (https://www.johnnyfd.com/2017/10/designing-perfect-coworking-space.html) Coworking Bansko checks all of the boxes and is perfect in terms of ergonomics, design, furniture, atmosphere, natural lighting, community, wifi speeds, value, etc. They have skype rooms with padding to reduce echo, excellent free coffee, and is overall the most comfortable place I've ever worked from. It deserves 5 stars not because it looks pretty in photos or has a swimming pool like other spaces in the world, but because it really is a 5 star coworking space. "Wonderful Space & Owners & Team work hard to make you feel welcome "
this coworking space is THE heart of the intl community in Bansko. The owners have worked hard and poured their passion into creating not just a stellar space ( actually 2 spaces- 1 quiet space & 1 social plus skype rooms & event rooms ) but into bringing others to their little community & making them feel welcome, included & supported. Game nights, movie nights, dinners, lunchs, bbqs, hikes, member presentations ( sharing expertise with eachother) - you name it it happens here. The community is full of people generous with their sharing of skills with others. Cant recommend highly enough. Wonderful job Matthias, Uwe, Elena & Irina! "Stands out because of the community "
Loved my time here! Coworking Bansko offers everything you would expect from a good coworking space: excellent wifi, comfy seats, free coffee/tea, Skype room, etc. However, I've worked in quite a few coworking space over the years, and where Coworking Bansko really stands out is its community. This is greatly due to Uwe and Matthias (the founders), who stop at nothing to put Bansko on the map as a digital nomad hub. Expect movie nights, communal lunches, visits to hot springs, and BBQ in the summer. Also, Bansko is a great place if you love outdoor activities: skiing/snowboarding in the winter, hiking/mountain biking in summer. My favorite coworking space so far! "Much more than just a coworking space"
I've been at coworking Bansko for just two weeks but I fell in love with the community and the magic energy around it. The coworking was the perfect space where to get lots of work done. I loved to be able to work long hours because the chair I was sitting in was super comfortable. But this coworking is not just about been productive, is also about a lovely community. Everyone was extremely friendly and there was always some great activity going on that helped to disconnect from work. I recommend this amazing experience from the bottom of my heart. "My second time here. The best coworking space in Bansko! " Fast Wi-Fi, regular conferences and workshops and the people here know every nice bar and restaurant in town. Well worth your time! I visited for the mountain crypto conference in April 2017 and will try to be back before the winter kicks in. The atmosphere is relaxed and the space has ample seats, beanbags, projectors, 3d printers and anything else you might require to work like at home, away from home. Uwe and Matthias are the friendliest hosts in Bansko and the good vibe is reflected on the rest of the permanent coworkers in this space. Where else can you ski in the morning, work in the afternoon and dip in a mineral pool after work, before heading into town to sample some of the loveliest bars and restaurants that Bansko has to offer. Highly recommended! "Perfect sized group of entrepreneurs "
Simple: best coworking I’ve seen so far after working from 18 countries. Excellent price-quality ratio. Great combination of “Social” and “Quiet” spaces which both have good chairs and great internet. I was able to be very productive in the afternoons while (learning how to) snowboard in the mornings. The real value though, comes from the community. It’s a perfect sized group of entrepreneurs to have fun, and have great work-related talks with. It's easy to join any events and meet new people, but also very comfortable if you're just trying to focus on work. Everything else has been said before and I can’t agree enough with the other reviews. This is the first coworking space I've been to and I was so surprised how inclusive and friendly the community was. From the first day, I was invited to any and all social events (of which there are plenty) while having somewhere great to work. Members regularly go for dinner, skiing, share business problems, go to the hot springs and there's conferences held on things like crypto currencies, freelancing, bloggers etc. I ski in the mornings and work in the afternoon/ evenings...the perfect balance. People are from such varied backgrounds and businesses it's also inspired me to challenge my own career ideas. Bansko is incredibly cheap to live in and I'm planning to return in the summer! The goal was clear: find a ski resort where I can stay for more than 1 month and not get bankrupt. Eventually chose Bansko after many recommendations from my friend and other digital nomads. Even though I found an apartment with a very good Internet access (fiber optics) I missed the social part of working and motivating each other. Coworking Bansko supplemented the missing part. And more. The extra friendly, extra warm atmosphere from people working there and taking care of the place is an enormous mood booster. Plus you get all the things necessary: fast Internet, comfortable chairs and well equipped kitchen. What else do you need from a productive working space? It's easy to set up a coworking space really. Some desks, Internet and a roof. Done. It's harder to make it a community and an inviting place to work. The guys here have done a great job doing just that. There are events most days, work and fun related, and there is always someone willing to help out with the day to day living here in Bansko. For a location that is a bit out of the ordinary, good location wise for Europe road trips, Bansko coworking is a great place to base yourself from. Ski in the winter and trundle along with bears in the summer. Perfect. "If you are missing community, this is the place." There are so many good things to say about Coworking Bansko, but I'll start with the very best. I am a bit of a loner and don't love too much socializing. They said it would be like a family and I thought, sure we'll see. But no, it's really just like a family (in all the good ways, and none of the bad). This place attracts the friendliest people and we always get lunch and do activities together. There are so many great events planned and of course if you have any ideas for activities or movies you can organize too, very easily. When I first arrived I didn't think much of the town, but then the snow came and it turned into a winter wonderland. If you like winter sports and you work online, there is no better, more affordable place to be based in Europe or anywhere. The people that run this place had the best intentions for building a community center for nomads that is warm, toasty and welcoming. It's true what they said - you come for a visit and want to stay - possibly forever! Haha so come check it out and experience the Bansko vortex for yourself. This is my first coworking experience and I am absolutely loving it. The thing I have noticed most is the people. The staff told me it would feel like my new family when I arrived and they are absolutely right. Everyone here is so warm and open and interesting. It's so easy to find someone to talk to, bounce ideas off or work until the early hours of the morning with. But not only that, the members regularly organise events. Some are regular such as morning yoga on Mondays, Wednesdays and Fridays. Whereas others are more spontaneous like going bowling or doing the Escape Room that Bansko has. I feel very welcomed here by everyone. The staff just feel like the "older siblings" of the coworking family. They are all super easy to approach, talk to and run questions by and also are regularly getting stuck in to the events held at the space. There are two spaces: social and productive. Both have super fast WiFi which I have had no complaints about (and have heard none from other coworkers as of yet). In the social space it is a bit noisier as some people have conversations every now and then but it is not loud really. And then the productive space is a lovely quiet space with a pellet heater (read: posh fire) that keeps the room nice and toasty. The location is pretty great. But then again it would be hard to have a bad location in Bansko since you can get anywhere in a 30-minute walk. There are some wonderful restaurants round the corner where coworkers get a discount on the already-super-cheap meals. Overall, I could not recommend this place highly enough. You should come here. 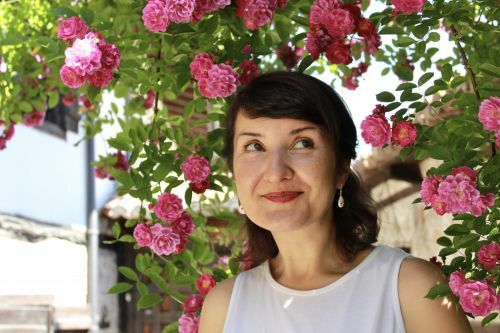 "Gorgeous mountain living and terrific coworking in affordable Bulgaria"
I am an online ESL teacher who had been seeking a vibrant and friendly coworking community in an affordable location with easy access to hiking trails. I wanted an office with hi speed internet and a good Skype room. It was harder than I thought to find such a place in Europe. I finally asked a coworking expert, and she turned me onto Coworking Bansko. When I made contact, I got quick, informative and friendly replies. Irina gave me a gracious welcome on her day off so I could test out teaching in the Skype room and all went very well. On Monday I was already making friends with interesting coworkers who know a lot about how to live and work well in Bansko. Great temporary accommodation was easy to find. At first I was in an apartment with a stunning Mountain View for $14/night and began to fall in love with the gorgeous Pirin mountains. Soon I was going to mineral springs and enjoying delicious meals in the old town with my new coworking buddies from Belgium, Bulgaria, Germany, Netherlands, Australia, N.Z., Canada, the USA and the U.K. Now I live in a spacious furnished apartment where I cook, enjoy both sunrise and sunset views, easily head downstairs for yoga and other Coworking Bansko events, and shop for great produce at the market. Outdoor adventures abound, my work is going well, and I have a great life here, so it was easy to decide to stay for six months and enjoy more of what Bansko offers. Come join us and see for yourself! "Much more than just coworking"
Bansko Coworking is awesome international community of interesting peoples with a plenty of common interests - hiking, digital nomads, IT, startups, culture, business. It's greate place just to visit for 2 weeks to extend your social connections, or even move to Bansko for years. Basnko as all-year season with affordavle prices and perfect climate is fantastic option for live and work! Stay at St. John Hill and go hiking or do some Shinrin Yoku every morning in the forest before work. You'll be productive like never before. The fruit and vegetables market, open everyday, is just a 2 minutes walk distance. I also highly recommend the "family cafe" at the corner of the street for a breakfast or a sandwich. Take the bus up to Vihren Hut and hike around the lakes up there. It's gorgeous. Check out Coconut Cafe for the best Snoothies in town! Also, rent a guest house for the first few days of your stay and find an apartment when you get there. It’s way cheaper to rent that way, as oppose to looking on Airbnb or other sites. Utilize Bansko Coworking's Housing Guide prior to renting a place. Join the facebook groups before coming to Bansko so you can get valuable info and contacts for accommodation! Definitely stay at least a month to get the best value out of accommodation prices. Get a sandwich at Le Petit Nicolas! Steamed corn kiosks in the nearby square! Of course the International Art Bansko Gallery on the main square, over 500 pcs, contemporary art! Even if you are not excited about art, you will enjoy the atmosphere. The coffee bar next door has a great coffee machine and does breakfast too. Good pricing too. Organise somewhere to stay when you arrive...everything is done in person/ through connections! Opa Tavern a block away is the best Greek food and perfect for lunch and dinner. Portions are huge and their lunch specials are always great and so affordable!! Go to Opa (a 200m walk from the coworking) and have a meal (or order two mains if you are feeling hungry) for €5. It's amazing. Don't forget to play golf in Pirin Golf complex - it's one of the best golf courses (by my opinion). The cafe next door makes healthy smoothies. Quick and close! Look for the genuine Italian ice-cream shop. It is useful to have a motorcycle / a car. Just let the local community welcome and guide you, you can't go wrong. The cafe at the corner is awesome. The coffee place two doors down the road is very nice, as is the weekly market at the other end of the street. Everything is cool out there! There is a pizzaria next door to the cowork space and the Adela restaurant is just 1 min away if you fancy a value meal. Makes sure your hotel/apartment is close to the centre in order to shorten the distance to the space. Speak to Dani at Bansko Property Management to get a move in ready apartment for 360 lev a month. The hot springs in Bania are open into the evening and have a restaurant. It's the perfect way to end a hard day's mountain adventuring. Be sure that the staff will show you and take you to the most amazing places nearby! Ask Matthias and Irina to help you find a housing, or better still join Jurgen for a coliving space. The main square is just a couple hundred meters from the space and it's full of restaurants and bars, other than having lots of nice green spots. Get the "Guide to Bansko" from the website before booking an apartment or arranging travel. It has a lot of useful information for you! 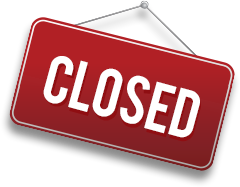 Coworking Bansko will be in touch with you soon to confirm. Coworking Bansko has received your membership enquiry and will be in touch with you soon.